Having recently returned to my Part-2 studies, I have had the opportunity to reflect upon my year out, which was spent helping to establish an unusual model of practice at Hill Holt Wood (HHW), an award-winning Social Enterprise based in rural Lincolnshire. 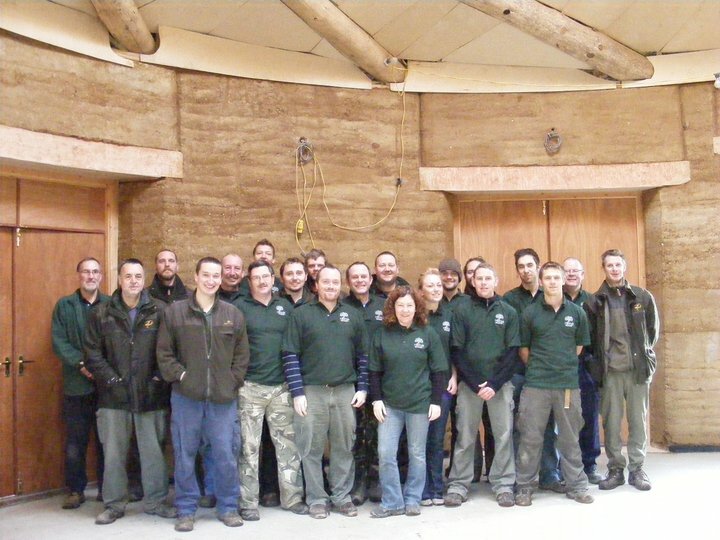 HHW operates not only as a sustainable woodland management and conservation outfit, but also as a school and training provider for troubled and under-employed young people in the local community. Facing almost non-existent employment prospects, two colleagues and I were able to use our graduate skills to exploit the business’ embodied knowledge of sustainable building and establish a student-led design office that specialises in eco-build – now continuing to employ students in its second and third years of operation. Having enjoyed the hands-on experience of building, the fulfilling sense of facilitating a design process rather than imposing one, and the realisation that architecture as practice is both dependant and depended upon by the community it serves, I have become interested in other ways in which students of architecture might apply their skills to responsibly bring about change in the built environment. With evidence presented almost daily of dwindling employment prospects, I am fully open to the idea that our profession as it currently stands may be fundamentally unsustainable. A recent colloquia, entitled ‘Social Enterprise: Lessons For Architects’ and facilitated by humanitarian change-agents Architecture Sans Frontières-UK , has been able to bring together a thought-provoking array of individuals operating within an as-yet under-explored area of architectural practice. The conference was of particular interest to me as in celebrates the kind of entrepreneurial ambition flavouring our endeavours at HHW. A base premise of social entrepreneurship is that a reduced financial reward is accepted alongside an auditable demonstration of social or environmental gain. There has been recent political support for the model, alongside access to funding and development grants not normally accessible by the private sector. A number of cases were presented in which processes of participation and community engagement in the design process (Studio Tilt, Cristina Cerulli/Anna Holder) sat alongside impassioned advocacy for fundamental change in the way that architects facilitate and procure change within the built environment (Inderpaul Johar – 00:/, Jonathan Essex – Bioregional). Having witnessed the inspiring diversity of thought, it seems to me that the term ‘alternative practice’ does not necessarily encapsulate the tangible hunger that can be felt amongst students at schools such as Sheffield for something other than an office-based desk job. Indeed the word ‘alternate’ may be more appropriate – allowing for the practice of those skills that already successfully define us as a profession, alongside those which we will need to develop to best exploit the changing context in which we operate. Social Enterprise, to me, seems to represent a fitting business model for a profession that – bound by its own Code of Conduct – aspires to show ‘proper concern and due regard for the effect that their work may have on its users and the local community’.